There’s nothing cooler than knowing exactly what you want when ordering your drink. Gone are the days of tripping up over the dirty, shaken, stirred, dry or with a twist are over, because today we’re teaching you how to order a martini…just like Bond. And please – know which kind of liquor you want. The classic martini was created as a gin cocktail, so for those looking for the traditional martini, give gin a try. For some, the herb flavor of gin is too strong, and should order a vodka martini instead. OK – But What About The Difference Between a Dry and Wet Martini? A wet martini means adding more dry vermouth – confusing right? A dry martini will call for the normal part of dry vermouth, where a wet martini will call for more than one part dry vermouth. Side note: Vermouth is liquor made with wine (known as fortified wine) that is flavored with herbs, flowers, spices, and other botanical ingredients. Shaken means that the alcohol of your choice will be shaken in a cocktail shaker with ice before being strained into your glass. Stirred simply means that the gin will be placed in a cocktail shaker with ice and stirred for about 30 seconds before being strained into the glass. This provides a smoother version of your drink, with a lower likelihood of ice shards in your cocktail. “Up” means that your drink will be served in one of those familiar tall martini glasses that has been chilled. “One the rocks” means that it will be served in a tumbler over ice. A dirty martini means that olive juice or olive brine is mixed in. This can be on its own, or in addition to “with a twist” for a lemon brine or “with an olive”. A clean martini refers to a martini served without a garnish. Ask to make your martini sweet if you want the bartender to use sweet vermouth instead of dry vermouth. A perfect martini will use equal parts dry and sweet vermouth, creating a balanced flavor. “A dirty martini with vodka, wet and shaken, extra vermouth, and olive brine.” Or something like “a martini with Beefeater, extra dry and with a twist, straight up”.  Now that you know how to order a martini like a pro, head on down to Club 609 in downtown Joplin tonight!